The Fellowship is open to exceptional, ambitious and imaginative creative individuals, working within the literature art form, providing a unique opportunity for career development, while increasing Wales’s artistic profile internationally. Applications were received for the Fellowship following a public call-out, with the selection made by a panel of previous Fellows. Dylan Moore is editor of the welsh agenda, the magazine for the Institute of Welsh Affairs thinktank, and English teacher at Llanwern High School in Newport, Gwent. 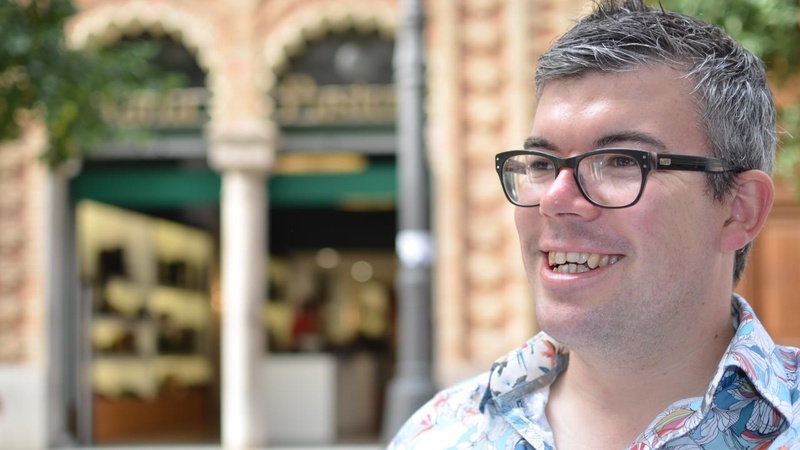 His debut book, Driving Home Both Ways (Parthian), is a collection of travel essays that explores the relationship between the local and the global, diverse and homogenised cultures, Wales and the world. In recent years, Moore worked to support refugees for The Sanctuary Project in Newport, was a founding co-editor of Wales Arts Review and The Raconteur, contributed to BBC Wales’ Arts Review of the Year and BBC Radio 4’s Last Word, and remains an executive committee member for Wales PEN Cymru. In joining the Fellowship, he sits alongside an illustrious line-up of writers from Wales that includes Jon Gower, Tiffany Murray, Fflur Dafydd, Owen Sheers, Eurig Salisbury, Jay Griffiths, and the 2017-2018 Fellow Jenny Valentine, whose global exploration of adolescence has resulted in a new documentary to be premiered ahead of the 31st Hay Festival in Wales. Part 6 – "A refugee always wants to return"